1. You think you found a Quest/Place/Battle that offers good Experience/Gold/etc. 2. You will do that Quest/Place/Battle over, and over, and over again (this is the truly repetitive part of "Farming"). 3. Slowly, you build up a massive pile of Experience, Gold, or others. 4. Once you have done that Quest/Place/Battle so many times, you will have found yourself with a large amount of Experience, Gold, or others, depending on what you did to acquire those rewards that you have desired so much. Throughout this guide, multiple tags have been employed , namely , , , , . For the sake of legibility, even if an item should rightfully have multiple tags, only 1 of the tags will be used according to the following hierarchy : > > > > . Furthermore, please note the tag is used to indicate that an item requires ACs to obtain. I apologize in advance for any potential confusion that may arise due to this. Methods listed in this guide are numbered by order of decreasing efficiency. Better methods are, of course, more important, and so have lower numbers to bring them higher up in their respective section or subsection. All drop rates in this guide are estimated with a unbiased binomial distribution, and have a significance level of under 0.3% given approximation of a normal distribution, as dictated by the law of large numbers, with the corresponding standard deviation that is the result from the approximation based on the drop rate. Spot a spelling error, grammatical fallacy, inconsistency, or incorrect/broken link? Think an estimated drop rate should be amended? Was something changed in-game, but not reflected in this guide? Discovered a better farming method than those listed in the guide? Have a suggestion for a new topic that this guide should cover? Know of some little trivia that would benefit this guide? Think that something is redundant or un-necessary, and would best be removed? Great! Do not hesitate to raise your voice, or in this case, bend your fingers. This guide started by absorbing feedback from the community, and continues to thrive like so. Farm together! - Take advantage of the fact that this is a MMORPG. Farm with friends, host parties or join them by using the =AQW= Let's Party! Thread in the AQWorlds General Discussion forum. Farming together prevents monotony and speeds up farming. However, be wary of situations where the mobs are too weak in comparison to the players, and thus farming together will result in kill-stealing and lead to decreased farming rates. Consider team composition (if farming in a party) - This is especially important and necessary when farming bosses which deal heavy damage and have special abilities such as Binky, Blood Titan, Undead Raxgore, etc. Coordinate ahead of time and relegate roles, such as damage and support, accordingly. Do not underestimate the value of a good support class while farming. Support classes and their skills are extremely versatile, able to increase damage done by allies, buff the group's defense, nerf the monster's hit chance, and more. Player buff skills stack ADDITIVELY with one another, and enemy debuff skills stack ADDITIVELY with one another, but player buff and enemy debuff skills stack MULTIPLICATIVELY with one another. Thus, support classes play a key role in increasing farming speed. The next subsection lists a few recommended classes for such roles. Enhance properly - Almost goes without saying, but use the highest-leveled enhancements available, and have equipment in all 4 slots (weapon, class, helm, and cape) to maximize stat points to increase farming speed. Even more importantly, select the correct enhancements/build (including the Awe enhancements), for the class being used and its intended purpose. For example, Wizard enhancements can be used with Oracle to increase the effectiveness of support skills, while Lucky enhancements can be used to increase offensive capabilities. If unsure, do not hesitate to ask in the =AQW= Class Discussion Thread in the AQWorlds General Discussion forum. Use the best locations - Do the research and choose the best location for farming, or let others do the research. This is why this guide exists. Roomhopping - Sometimes, it is beneficial to keep joining different instances of a room instead of sitting in the same one. This method is called room-hopping, and is primarily used to avoid having to waste time by waiting for monsters to respawn. If a map is popular enough, such as /battleon, this can be achieved by simply typing in "/join battleon", whilst in /battleon. However, if all other public instances are full or none exist, then players need to exit and rejoin the map, or use private instances. Private instances of a room can be joined by picking a number greater than or equal to 1,001, and less than or equal to 99,999, such as "1221", and typing in "/join battleon-1221". Once that instance has served its purpose, typing in "/join battleon-2112" will send players to a new private instance. Choosing a number smaller than or equal to 1,000 will result in joining the first available public instance. Choosing a number greater than or equal to 100,000 will result in joining a private instance between 99,000 and 99,999. The function that chooses the private instance number based on the input, is either non-deterministic, a hash based on the input and other hidden non-constant variable (such as time), or some demonic combination of both. Further testing is required. To start, close other programs that you don't need to have open. Make sure you don't have very many windows or tabs open, and if you do, make sure none of them are running Flash applications (that includes YouTube videos). Having extra programs open and having additional Flash programs/videos playing will only take up your computer's processing power and make AQW slower on your computer. You can also speed up the game by playing in a smaller window. Just simply zoomed in and out of your browser by holding "Ctrl and +/-" (for Mac users — "Command and +/-"). Make sure you've the newest flash player upgraded. To download the latest version, click here. Additionally, open the Options window in-game (click the button towards the lower-right corner with the gears on it). Set your graphics to Medium or Low, turn off sounds, turn off pets, turn off helms and turn off cloaks. Uninstalling and then re-installing Flash might also help. Taken from the AQWorlds FAQ - Miscellaneous Section. Furthermore, try not to use equipment with a lot of animations. An example of a laggy weapon would be the Ungodly Reavers of Nulgath. It might look awesome but looks are irrelevant when farming. Lastly, playing on less-populated servers will reduce lag, both client and server lag. Every class has been designed with a specific purpose in mind, so each class has its own unique niche in the meta. These niches can be largely divided into 4 categories. For these 4 categories, several classes are listed below, in order of decreasing general power. In each category, classes have been chosen to represent a succession of classes that players can progress through in their respective hero journeys. For more information on class strategies and enhancements, please refer to the =AQW= Class Discussion Thread in the AQWorlds General Discussion forum. Recommended classes for farming bosses (Damage): Void HighLord, LightCaster , Glacial Berserker , Necromancer. Recommended classes for farming bosses (Dodge): Great Thief , Horc Evader, Rogue and its variants. Recommended classes for farming mobs: Abyssal Angel , Blaze Binder, Shaman, Scarlet Sorceress. Recommended support classes: LightCaster , StoneCrusher, Arachnomancer, Bard , Oracle. Use Archpaladin for pure defensive support. Important Note: If a skill is used that affects others players, such as a buff or a heal (for example Oracle's "Group Divination"), it'll automatically "involve" the invoker into the battle. So if there are multiple players fighting multiple monsters, a possible strategy is to simply buff them, instead of having to take on the monsters directly. Recommended equipment: Different enemies call for different equipment. Monsters can have up to one racial tag (<Race>kind) from the following, so check the AQW Wiki for information on a monster and if it has a racial tag. Farming chaoskind? Use Chaorrupter Unlocked or any of its variants to deal +50% damage. Farming dragonkind? Use Bright Amadis/ Amadis Wings for +20%, Enchanted Frozen Claymore for +25%, Dragon Flattener for +35%, or DragonBlade / Evolved DragonBlade / DragonFlight's Rage for +60% damage. Farming elementalkind? Use Bloodwolf Pup / FableForest Elements Cape/ Trickster Horns/ Forest Fury Helm/ Fable Seaweed Mace for +15% damage. Farming humankind? Use (Dual) Chainsaw Katana for +25%, or SDKA / Thanatos for +50% damage. Farming undeadkind? Use Celestial Khopesh for +35%, FLoD for +50%, or ALoD/ Dual BLoD/ VLoD for +75% damage. Farming other monsters? Use Burning Blade/ Nightlocke War Axe for +15%, Burning Blade Of Abezeth for +30%, or Necrotic Sword of Doom for a universal +51% damage against all monsters. When choosing a weapon, it is important to remember that caster classes are only able to utilize the lower-half of a weapon's listed damage range. Therefore, the more stable a weapon's damage range, the higher the average damage output. Furthermore, as racial and universal damage boosts are different, one can MULTIPLICATIVELY stack the damage boost from a weapon that gives +50% damage to chaoskind with an armor that gives +15% damage to all monsters. To take advantage of this fact, true farming gurus will use the non-weapon parts of the AFDL set (1) (2) (3) (4) or Dragon Naval Commander Set , which provide a universal +15% damage boost, in order to leave the weapon slot free, as most other damage boosts are provided through the weapon slot. Lastly, as mana regeneration is proportional with damage, these damage boosting equipment will also help with mana regeneration. 20 min ( EXP, CP, Gold, Rep) : free from the Daily Login Rewards system. 10 min ( EXP) : free from Faith's quest Fish Food. 10 min ( Rep) : free from Faith's quest Catch of the Day. 10 min ( CP, Gold, Rep) : free from Zifwin the Colorful's quest Reagents for Zifwin. 60 min ( EXP, CP, Gold, Rep) : 150 AC from Twilly's Game Boost Shop. 60 min ( EXP, CP, Gold, Rep) : free from Ragnar's daily quest Free Daily Boost. 60 min ( EXP, CP, Gold, Rep) : purchase the Game Booster AC Add-ons for the 2,000 AC, 5,000 AC, and 12,000 AC packages. 60 min ( EXP, CP, Gold, Rep) : free from Shara Kinrunner's daily quest Break Into the Hoard, but requires purchase of the BoneBreaker Adventure Pack. 60 min ( EXP, CP, Gold, Rep) : free from Icy Treasure Chest and Quest's daily quest Ice Treasure Chest Quest, but requires Icy Treasure Chest. Some equipment come with boosts that, while smaller than those provided by consumable boosts, are permanent as long as the equipment is equipped. These boosts are referred to as item boosts, and the largest individual boost from a solitary piece of equipment is currently at +25%. Currently, item boosts do not stack on the live servers, but do so additively on the testing servers. For example, consider the situation when one equips a helm that gives +10% EXP and +10% Rep, and then a cape that gives + 5% EXP. On the live servers, there would be a +5% EXP and +10% Rep boost (using the relevant boosts from the most recently equipped item), but on the testing servers, there would be a +15% EXP and +10% Rep boost. Furthermore, item boosts stack MULTIPLICATIVELY with consumable boosts on live servers, while item boosts stack ADDITIVELY with consumable boosts on testing servers. On both server types, item and consumable boosts stack MULTIPLICATIVELY with server boosts. Check out A Guide to AQW's Boosts for a more comprehensive overview of in-game boosts, including damage boosts, to farm most effectively. Notable equipment of interest include the Cape of Awe and Awethur's Accoutrements, both of which are relatively simple to obtain, and give a significant +25% CP, EXP, Gold and Rep. The latter is easier to obtain but is also a weapon, so can potentially run into single-set gear optimization issues as discussed at the end of the above subsection. Alternatively, it is possible to use a damage-boosting set of gear and then switch to a rep-boosting set of gear just before turning in quests. Different classes work best with different potions. However, there exist base recommendations that are sure to help out any and every class. For magical classes, Potent Malevolence Elixir increases spell power by 25% for 15 minutes with no adverse side-effects. For physical classes, Potent Battle Elixir does the same for attack power instead. For hybrid classes, Potent Destruction Elixir increases critical strike damage by 50% for 15 minutes. The potions that increase damage, noticeably Senna's Buns which increases damage by 75% with no detrimental side-effects, have too short of a duration to be highly viable when farming. Potions that are obtainable via ACs are generally not recommended, especially when there are many viable non-AC alternatives. There are several other methods to obtain potions, but are not accessible to all players, are so are not covered in the table. Instead, they are covered below. Black Sludge Potion is available from the EpilCorp Mug Shop, but requires purchase of the Ebilcorp Coffee Mug. 11 potions are available from Shara Kinrunner's daily quest Break Into The Hoard, but requires purchase of the BoneBreaker Adventure Pack. 3 potions are available from Icy Treasure Chest's daily quest Ice Treasure Chest Quest, but requires Icy Treasure Chest. Scrolls are consumable equipment that affect a player's environment and surrounding monsters. For a thorough discussion on scrolls, refer to Kingp's Guide to Spellcrafting. Notable scrolls of interest are covered below. Single Target Damage : Shadow Bolt for magical classes, Scorched Steel or Diamond Cage for physical classes, Plasma Bolt for hybrid classes, Exorcise against the undead. Charged Flare for 2 enemies and chance of stun, Psychic Wave for 2 enemies. Fire Flare for a magical attack against 3 enemies, Plague Flare for a physical attack against 3 enemies, Spirit Rend for a magical attack against 3 enemies, Chains for a physical attack against 3 enemies and chance of haste reduction. Frost Flare for moderate damage to 4 enemies, Blinding Light for light damage to 4 enemies and chance of hit reduction, Holy Flare for 5 enemies and does extra damage against undead, Underworld for 6 enemies. Multi-functional : Shiftburn or Dissonance for a variety of beneficial effects. HP Drain : Steal Their Breath or Life Steal. Stun : Shadowburn for a 50% chance to stun, or Petrify to stun but increase enemy resistance by 10%. Taunt : Enrage to reduce enemy's damage by 15% and force it to attack the user. PvP : Soul Crush for chance to increase enemy's mana costs significantly. Currently, the level cap is set at 90. Levels serve as a fundamental basis to judge players' capabilities and commitment to the game. As in most games, leveling up gives players access to better enhancements and equipment. Furthermore, some areas and content have a base level requirement for access. In most cases, especially early on, farming for EXP is not at all necessary. Simply playing the game and exploring its various storylines rewards sufficient EXP. 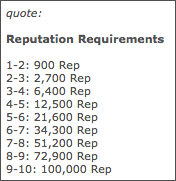 Here is a table of the amount of experience required to level up. Icestorm Arena was designed for the sole reason of farming EXP (and also serves as an excellent source of Gold). While it does also provide a steady source of CP, the methods described in the post below prove themselves to be much more efficient at farming CP. Level 75+ : 6x level 99 Frost Spirit on screen 26. Level 55-74 : 4x level 75 Frostspawn Horror on screen 18. Level 50-54 : 4x level 69 Icy Wind on screen 25. Level 35-49 : 3x level 55 Ice Infernal on screen 14. Level 1-34 : 2x level 40 Icewing Warrior on screen 11. With the exception of Linix, all of the mob enemies here, Chaos Sprites, Seed Spitter, and Gorillaphant, have 1,643 HP and are level 25. Join /arcangrove and travel to either screen 2 or 4 to find 3 monsters of interest. There are often many players here, so this area is ideal for newer players looking for some EXP and/or CP to kickstart their hero adventure. Classes can rank up to rank 10. Ranking up classes to a minimum of rank 5 is necessary in order to utilize all of a class's skills. Ranking up select classes to rank 10 will unlock their hidden rank 10 passive, which rewards players for their diligence with slight buffs, an essential for long-term farming and competitive play. As CP can only be gained by battling monsters, unlike EXP which is often rewarded by questing, this section is dedicated to finding level-appropriate enemies. Here is a table of the amount of class points required to rank up. It is important to note the formula for the reduction mechanism of the CP system : 100% - (5% * Level difference). This means that monsters can be no more than 19 levels below a player to award any amount of CP. However, there is no penalty or benefit for monsters that have a level higher than a player. Generally, this guide refrains from talking about farming on the testing servers (Zorbak, Safiria, TestingServer, and TestingServer2), as they are technically a work in progress. However, this method is just much too good to simply ignore. Consider the design note post by Cemaros on January 22, 2018, in the section Extras! - Class Things!. The CP reduction system is almost the same as the live servers, except that reduction is capped at 95%. On the other hand, CP gain from battling higher-leveled monsters does have a benefit and is currently uncapped. The monsters in bludrutbrawl may seem to only be level 25, but in fact, they are set to the maximum possible level under a 1-byte encoding, namaely level 255. The UI (user interface) simply cuts off the display after the first 2 digits. This makes the CP farming rate astronomically high. The drawback is that many classes are microscopically weak on the testing servers. To compensate, a recommended strategy is to farm classes to rank 5 on regular servers, then switch over to the testing servers to finishing farming the class up to rank 10. Another option to help mitigate this effect, is to farm with friends. Nothing was the original version of Frost Spirit. With 4 of them on screen 14, this makes this method the best method for those who are not yet at level 75. To access the monsters quickly, talk to Memet in /nightmare and choose the battle option "Loneliness". This requires completion of Memet's quests (at least up to Fear of Loneliness? ), which requires completion of Kyron's quests in /brimstone. For classes that are lacking in the ranged AoE department, standing in front of Memet gives melee-range access to two of the Nothings. SoN only has 4,319 HP and is a whooping level 100. However, it does hit substantially hard for approximately 500 damage. Combined with the fact that it is immediately aggressive upon respawn, this monster will punish players that approach it unprepared. All of these points make it inferior to the above 2 points in seemingly every aspect. However, the aggressive nature of this monster is the selling point of this method. Without the use of multi-boxing, this allows for a single person to easily farm for CP on multiple different accounts. There are only 2 of this enemy in this entire game, and the more convenient location is off-screen on screen 4 of /tercessuinotlim. Upon joining /tercessuinotlim, walk upper left, and then upper center to travel to screen 4. This requires Escherion's Chain and Strand of Vath's Hair to traverse the map, as well as a minimum of 50 Bone Dust to travel to the Bone Portal from /citadel or (Enchanted) Nulgath Nation House. SoN is also found at its original position, hidden off-screen behind Nulgath. Gold is the primary currency of AQW, and is mainly used to buy equipment and enhancements. For the most part, Gold is never an issue and is in abundant stock. Even when low, Gold can be quickly amassed simply by playing the game regularly. However, there are a handful of occasions that will turn the wallet into an onion, i.e. it'll make the owner cry when opened. When such instances arise and acquiring Gold is the first-and-foremost priority, refer to these methods for replenishing the Gold hoard. Currently, the Gold cap is set at 5,000,000. However, after reaching 4,000,000 Gold, the only source of income is from selling drops in shops, which can be quickly and easily accessed via the Game Menu. Once the Gold cap has been broken, any excess Gold will remain and the total will not be floored down to 5 mil. Note that after the soft cap of 4 mil, there is a visual bug that does not display an increase in gold from selling items until after a relog. Again, Gold boosts only affect Gold obtained from monsters and quests. They do not increase Gold obtained by selling items. Ballyhoo has been a long-time staple in AE games, and is no exception in AQW. At /ballyhoo, players in the USA may view up to 10 ads a day, while non-US players may view up to 5 ads a day. As always, there is a small chance of receiving a nominal amount of the game's secondary currency. In this case, there is a estimated approximate 5% chance of getting 5 ACs. Though not a fast means of obtaining Gold by any standard, this is the only way to obtain Gold after having broken the cap of 5,000,000 Gold. This is the perfect quest for those who can very easily obtain Uni 13 by using Diamond Exchange from Crag & Bamboozle . Currently, no other methods exist for obtaining Uni 13 quickly and reliably enough to make this a viable option for others. The best place to obtain [Nulgath Rune 1] would be from Undead Legend in /evilwardage or /underworld. The quest can be accepted from Nulgath in /tercessuinotlim, any Sword of Nulgath, or Enchanted Nulgath Nation House if owned. Requires ownership of Tendurrr and Uni 13, and an additional 6 inventory slots to complete the quest. When farming for the Phantasmia's Charoite, make sure to battle the second version of Dr. De'Sawed on screen 10 of /catacombs. Archfiend's Amber has an estimated drop rate of approximately 50% from Mega Tyndarius in /lavarun. Phantasmia's Charoite has an estimated drop rate of approximately 35% from Dr. De'Sawed in /catacombs. Yoshino's Citrine has an estimated drop rate of approximately 80% from the Team Captains ( A and B) in /bludrutbrawl. Tendou's Moonstone has an estimated drop rate of approximately 20% from Wolfwing in /wolfwing. Asuka's Ruby has an estimated drop rate of approximately 10% from Hero in /baconcatyou. Requires membership into Dage's Legion. For full efficiency, requires max-stack Legion Tokens, and a further 4 free inventory slots. As the reward system is "receive one of the following", having max-stack Legion Tokens guarantee the Dage Surprise reward, which can sell for 2.5K, 12.5K, 25K, or 125K Gold. By having the first 3 rewards, one can guarantee the version with the sellback of 125K Gold. Charred Skull has an estimated drop rate of approximately 30% from Skeletal Fire Mage, for which screen 1 of /portalundead is the best location to farm. Broken Blade has an estimated drop rate of approximately 12.5% from Rock Elemental in /bludrut. Rock Elemental can be found by joining /bludrut, then walking up twice, right, up twice, left, and then down. However, it is faster to join /bludrut2, and then walk upper-right into /bludrut. Find a member player who has Vorpal Bunny and is willing to equip it. Access its quest list by clicking on it. The quest of interest is "Bunny Berzerker Armor - Were Egg". This short and easy quest rewards Berserker Bunny, which can be sold for 6,250 Gold. [Were Egg] has an drop rate of 100% from Wereboar in /greenguardwest. Wereboar can be found by joining /greenguardwest, then walking left 5 times, and then down. However, it is faster to join /mobius, and then walk down into /greenguardwest. Not only are eaglesreach's quests an excellent source of EXP and CP, the quests are also an excellent source of Gold from levels 46 and onwards. However, players at levels 1-45 should consider the following options instead. Check the Experience & Class Points section above for corresponding notes on this area. The Black Knight has 8 non-misc drops, each of which sell for 6,250 Gold. This effectively makes the Black Knight a Gold Piñata (albeit one with 49,300 HP)! On average, players can expect 1 drop every kill. Players under level 21 need to complete the quest Hardly Suiting Armor and obtain the Black Knight Orb in order to summon Black Knight in /greenguardwest. The Black Knight can be found by joining /greenguardwest, then walking left, and then up 3 times. However, it is faster to join /arcangrove, and then walk down into /greenguardwest. For the quest, the monsters are located in /well, /greendragon, /deathgazer, and /trunk. However, players above level 21 can bypass these steps entirely. Simply join /shadowfall, and talk to Braeus on screen 1, who can fast travel players directly to the Black Knight. Despite being a Chaos Lord, even though he was the first one, Escherion and his accomplice Staff of Inversion are extremely weak. Furthermore, there are often, if not always, other players farming in this area for Escherion's Helm for Nulgath Items or Runes Found! for Blade of Awe. When this is taken into consideration with the drops from both monsters, this area is ideal for newer players looking for some Gold funds to kickstart their hero adventure. While Staff of Inversion is alive, Escherion will take no damage. Always prioritize defeating Staff of Inversion before battling Escherion. Joining Nulgath's Nation can be extremely daunting, with its plethora of reagents and methods to obtain them, especially in comparison to its Lore counterpart; Dage's Legion. This section hopes to amend that issue, by helping players understand the best ways to farm for core Nulgath reagents. Nulgath farming typically follows the following format : farm for Unidentified 13 (Contract of Nulgath), farm for Voucher of Nulgath (non-mem), farm for the other basic reagents, and then farm for miscellaneous items if not yet obtained. Many Nulgath pets require a player to own the pet in question to access their quests. However, there are some exceptions to this rule, all of which are covered here. These pets and their quests are public-friendly, i.e. anybody can access their associated quests if they can find a player with the pet equipped. This pet comes with 8 quests, although the only quests of interest for core reagent farming are Supplies to spin The Wheel of Chance and The Assistant. Simply click on the floating exclamation mark to access the quests. One method to access these quests would be to keep hopping rooms, hoping to randomly find a member player who has Drudgen and is willing to equip it. However, depending on this is inconsistent and inefficient. A more reliable method to access these quests would be from the Item Preview of Drudgen in Nulgath's Shop in /tercessuinotlim. To traverse this maze-map, consult the wiki to get information on the path and necessary requirements to get to Nulgath. To bypass the inventory strain that this may place on a player (a minimum of 8 inventory slots), use an alt to store the items. This pet comes with a number of quests, although only 3 are of interest for core reagent farming: Bone Dust Reagent, Cube Reagent, and Essence of Defeat Reagent. Simply click on them (some require to be clicked on the hilt, others on the blade), to access the quests. For members, 8th Betrayal Blade of Nulgath is suggested due to its relative ease to obtain when compared to all the non-rare blades. For non-members, there are only 2 options that are available and don't involve relying on finding members with an equipped Nulgath Blade pet. One option is to farm 8th Betrayal Blade of Nulgath, and the other is Battlefiend Blade of Nulgath. The former is much more easier to obtain than the latter. Despite being only equippable by members, the quests can still be accessed via these pet's Item Preview in a player's inventory. This pet comes with 2 quests, although only the latter, Nulgath (Larvae) is of interest for core reagent farming. Simply click on the pet's face to access the quests. Unlike Drudgen, this pet can be found in abundance, especially in /elemental. The same quests can be accessed from Mini King Klunk, but this pet is rare, which is why it is much less seen in comparison to Nulgath Larvae. Some quests are recommended to farm a variety of Nulgath reagents, so will be listed here once for the sake of redundancy. While generally not the fastest for farming any particular reagent (unless mentioned beyond this subsection), they have a wide coverage of drops at decently competitive drop rates. Thus, these quests are best utilized when a small quantity of a large range of reagents is needed. Requires ownership of Astral and Crimson orb pet respectively. Requires ownership of Ceremonial Void Knight Sword. Aquamarine of Nulgath has a drop rate of 100% from Crystalized Jellyfish in /battleunderc and stacks to 27. Crystalized Jellyfish can be found by joining /battleunderc, then walking right, down twice, and then right. However, it is faster to join /battleundere, and then walk left into /battleunderc. Totem and TG at 13%. DCS and Diamond at 100%. Requires ownership of Bounty Hunter's Drone Pet . The relevant quest, New Worlds, New Opportunities can also be accepted from Nulgath's Birthday Gift by the owner of that pet. Big Bad Boar in /greenguardwest can be quickly accessed by first joining /mobius and then walking down. Totem and Uni 13 at 15%. Requires ownership of Bounty Hunter Blade Pet. [Mana Energy] has a drop rate of 20% from Mana Golem in /elemental, and stacks up to 13. [Charged Mana Energy] has a drop rate of 100% from Mana Elemental in /gilead, but only stacks up to the quest requirement of 5. The quest can be accepted from Nulgath Larvae, Mini King Klunk, Enchanted Nulgath Nation House, Crag & Bamboozle , or Oblivion Blade of Nulgath . This quest also has a 5% chance to drop 8th Betrayal Blade of Nulgath, which is significant due to reasons discussed in the preceding subsection. Vouch-NM and Totem at 1%. Uni 13 and Diamond at 5%. TG and DCS at 13%. While slower than Nulgath, this is the solo farming option for those who cannot tolerate the lag associated with large parties. Staff of Inversion and its ward Escherion can be easily burst down, in that order. Even mid-level players can typically bring down the Staff, and then burst down Escherion before the Staff respawns. The quest can be accepted from Drudgen, Crag & Bamboozle , Swindle Bilk's To Go Hut , or Enchanted Nulgath Nation House. Technically, the quest can also be accepted from Swindle Bilk (NPC), but this particular quest requires one to have Crag & Bamboozle, which offers the quest in by itself. The 5 variations of these quests are only very slightly different, but are the same in regards to core reagent farming. Uni 13, Vouch-NM, and Vouch-Mem at 1%. Have too much Gold? Bring those figures back down by doing this quest. Gold should be in abundance for regular Nulgath farmers, so get acquainted with this quest. At screen 12 in /evilwarnul, Klunk has the Blood Cloak for sale for 100K gold in his Diamond Shop, along with the Legion Fenrir that drops [Nulgath Rune 3]. The quest can be accepted from Drudgen, Crag & Bamboozle , or Swindle Bilk's To Go Hut . Technically, the quest can also be accepted from Swindle Bilk (NPC), but this particular quest requires one to have Crag & Bamboozle, which offers the quest in by itself. The 4 variations of these quests are only very slightly different. Uni 13 is at 5% from Crag & Bamboozle and Swindle Bilk, but only 1% from Drudgen and Swindle Bilk's To Go Hut. An apple a day keeps the doctor away, and a quest turn-in a day keeps farming insanity away. These quest rewards may seem insignificant, but definitely will pay out in the long run. Requires ownership of Crag & Bamboozle and Tendurrr. Effectively a daily quest with the consumption of Sparrow's Blood for the quest. As the first half of the rewards are under the reward system "choose one of", this quest is very good for getting a decent amount of Diamonds, TGs, DCSs, and GoNs. As the second half the rewards are under the reward system "receive one of the following", it is possible to increase the chances of getting a specific reward by having the max stack of the other possible rewards. This is especially useful for getting Vouch-NM, Totems, and BGs. Requires ownership of Drudgen and Tendurrr. Effectively a daily quest with the consumption of Seal of Light for the quest. As the reward system is "receive one of the following", it is possible to increase the chances of getting a specific reward by having the max stack of the other possible rewards. This is especially useful for getting Vouch-NM, Totems, and BGs. Requires ownership of Nulgath Challenge Pet . This is, by far, the easiest way to obtain BGs. Unfortunately it only rewards 1 and is a daily, so it is generally used as a supplement when farming BGs. By having Ultra Bloodbeacon Polearm +10 and max stack diamonds, this quest is the fastest way to get Uni 13. However, for farming diamonds, the other methods listed below under the Diamond of Nulgath subsection are faster. This misc item is essential for Nulgath Nation farming, as many farming quests require having this as a prerequisite. With a stack limit of 3, it is recommended to always have at least 1 of these at all times, whether in the inventory or in the bank. Requires ownership of Crag & Bamboozle . Requires ownership of Original Drakath Armor, which requires 3 Uni 13s to obtain. [Holy Wasabi] has an estimated drop rate of approximately 12.5% from Dread Stranglerfish in /towerofdoom4, for which there are 3 guaranteed spawns on Floor 37. Uni 13 has an estimated drop rate of approximately 1% from the quest itself. This misc item is the most common source of grief amongst Nulgath Nation farmers. Newer reagents have been introduced over time, but none have remained as consistent a pain as this. Use it wisely, as they are few and far between, as many will testify. Requires ownership of Blood Orb or Oblivion Blade of Nulgath . As the reward system is "receive one of the following", it is possible to increase the chances of getting the Vouch-NM reward by having the max stack of the other possible rewards. Unlike the other "Assisting <Minion>" quests, this quest is not a daily. Use Bamboozle vs Drudgen from Crag & Bamboozle and/or The Dark Deal from Oblivion Blade of Nulgath to obtain Escherion's Helm more quickly. The maps /nulgath and /evilmarsh both have Tainted Elemental on screen 3. Since these 2 quests use different drops, namely [Tainted Core] for the former and Tainted Soul for the latter, these 2 quests can be done in conjunction. Just note that Escherion's Helm only stacks to 1, but Tainted Soul stacks to 13. This quest can also drop Uni 13, Diamond, TG, and DCS but is in all ways inferior to Nulgath. This quest is only good for members with easy access to Escherion's Helm as listed above. This misc item, unlike its non-mem counterpart, is in high supply, and yet relatively low demand. Its main redeeming factor is its massive 250K gold sellback, which coupled with its relative ease to acquire, makes it a viable source of income. Requires ownership of Uni 13 and completion of Galanoth's quests in /lair. Requires at least 2 free inventory spaces to farm, for the Legion Blade and the Dessicated Heart, both of which stack to 100. Suggested to have 5 free inventory spaces, to also accept Archfiend's Favor, Dage's Favor, and Nulgath's Approval. Exactly the same as "Crush the Weak", but the reward is 2 diamonds instead of 3. Cubes stack up to 500, and are best farmed from Sneeviltron in /boxes. [Ice Cubes] stack up to 6, and are best farmed from Snow Golem in /mountfrost. Almost exactly the same as "Cube Reagent", but with Bone Dust instead, which stacks up to 5,100, and no [Ice Cubes] requirement. Requires ownership of Uni 13. This quest used to be the only quest Nulgath farmers needed for DoN, DCS, or TG, rewarding 2, 3, and 5 of the reagents respectively. Those glory days are long gone after a much-needed nerf to the quest. Now it only has a estimated 40% chance to drop 1 TG. Combined with the finicky drop nature of [Crystal Dreadrock Gem], this quest is only a pale shadow of its former glory. Joining /tercessuinotlim automatically starts a player in screen 1. Walk upper-left to screen 2, upper-center to screen 4, bottom-center to screen 3, upper-left to screen 5, and then bottom-middle back to screen 2 (screens numbered to match those used in the Wiki). This is the most efficient room-loop to use to defeat Dark Makai. Members can utilize the map /nulgath, where there are 2 Dark Makai on screen 2. As the reward system is "receive one of the following", it is possible to increase the chances of getting the 5 Totem reward by having the max stack of the other possible rewards. This quest is similar to the quest Totem of Nulgath, except that only 60 Essence of Nulgath are required in comparison to 100. However, the Vouch-NM in necessary to qualify for this 40% discount. Joining /tercessuinotlim automatically starts a player in screen 1. Walk upper-left to screen 2, upper-center to screen 4, bottom-center to screen 3, upper-left to screen 5, and then bottom-middle back to screen 2 (screens numbered to match those used in the Wiki). This is the most efficient room-loop to use to defeat Dark Makai. Members can also utilize the map /nulgath, where there are 2 Dark Makai on screen 2. As the reward system is "receive one of the following", it is possible to increase the chances of getting the 5 BG reward by having the max stack of the other possible rewards. Use the Buyback Shop to re-acquire Tendurrr. Unfortunately, doing so will require the player to relog every turn-in, but the inconvenience heavily outweighs the average time otherwise required to refarm Tendurrr. Fragment of Chaos is best obtained from the Chaos Gemerald in /blindingsnow. This requires completion of Adak Amaroq's quests in /blindingsnow (at least up to Chasing After a Girl). Levels of swag are now measurable with these units of swag currency. Nobody understands this more clearly than Malorie in /collection. One use for these tokens is in Malorie's Super Fan Token Shop. However, the main purpose of these tokens is for Malorie's quests, where one can exchange 1 A-Token for 5,000 Rep for select factions. This is especially useful because A-Tokens can be stacked, and then turned in under the effects of a short consumable boost to quickly rank multiple reps up to rank 10. 10 D-Tokens, which stack up to 500, can be traded in to receive 1 C-Token. 10 C-Tokens, which stack up to 500, can be traded for 1 B-Token. 20 B-Tokens, which stack up to 200, can be traded for 1 A-Token, which stacks up to 100. Therefore, 2000 D-Tokens, 200 C-Tokens, 20 B-Tokens, and 1 A-Token are essentially equivalent. Non-members : There are only 2 possible quests that non-members can farm for Swag Tokens. Bleak Despair from the hamster wheel in /collection awards 20 D-Tokens and has an estimated 25% chance of awarding 4 C-Tokens, which on average effectively makes the reward a static 30 D-Tokens. Flying...and Falling from the catapult on screen 3 of /terrarium awards 40 D-Tokens and has an estimated 25% chance of awarding 8 C-Tokens, which on average effectively makes the reward a static 60 D-Tokens. Access to this quest requires completion of Kid Drakath's quests in /terrarium (at least up to Catapult Climb). The quest requirements for "Bleak Despair" are dropped by both Dustbunny of Doom and Death on Wings, whereas the quest requirements for "Flying... and Falling" are only dropped by Dustbunny. Thus, screen 3 of /terrarium (the same screen where the "Flying... and Falling" quest can be accessed), with 2 Dustbunny spawns and a Death on Wings spawn (and a 1 HP Shambush spawn), is the best place to farm these 2 quests. By placing an alt in /collection and using the /goto command or summon function of a party, the 5 second unskippable intro-cutscene that automatically triggers upon joining /collection can be avoided. Members : Kid Drakath's quest For Science! in /terrarium awards 30 C-Tokens, but the only quest item [Doppelganger Documents] is found in /collectorlab. As it drops from any enemy, screen 2 of /collectorlab with 4 random respawns is the best place to farm this quest. There are many other quests that can also be farmed alongside "For Science! ", but the rewards for most of these quests are too insignificant when compared to "For Science!". The amount of time spent on finding, accepting and turning in these quests distracts from farming "For Science! ", and actually lowers Swag Token farming efficiency. An argument could be made for Doppelganger of They's quests, "Exquisite Dead Guy", "Hall of Stolen Heads", and "I Want a Rock", in /collectorlab, due to its ease of access and decent rewards. Otherwise, the only other quest of significance is Doppelganger of They's daily quest Scientific Accessories in /collectorlab, which awards 40 C-Tokens. Mhar-Tea's quests and Cave Man's quests in /dinocaves is an viable alternative, since there are 5 quests that each award 3 C-Tokens and have a chance of awarding 3 B-Tokens. In order to access Mhar-Tea's quests, do Cave Man's fourth quest, "Uga Ug", for the Flux Communicator. The other 3 quests provided by Cave Man and the 2 provided by Mhar-Tea can be farmed concurrently, for which there are 4 monsters on screen 6 of /dinocaves. The benefit of this method is that it does not require constantly switching between different maps for full efficiency. Vokun has some amazing gear for sale in Vokun Merge in exchange for Unitas Fragments from his quests (and gold). Upon joining /underworld, walk right, left twice, down and then right to reach screen 7 to find Vokun. Interestingly, Unitas Fragments stack up to 10,000, which is enough to buy everything in Vokun Merge 4 times over, and still have fragments remaining. For both members and non-mems, "Skull and Bones" is the best option. [Living Skull] is dropped by Undead Pirate in /pirates, for which there are 3 on screen 12. Upon joining /pirates, walk right, up, and then left twice. As it is a 100% drop, 28 kills are required to obtain only 2 Unitas Fragments, but this is still faster than the other options. For "Soul Dealer", Warrior Claymore Blade has an estimated drop rate of approximately 5% from Undead Berserker, and Dark Crown Axe has an estimated drop rate of approximately 1% from either Doomwood Treeant or SlimeSkull. For "Legendary Unity", Bone Axe has an estimated drop rate of approximately 1% from Big Jack Sprat. These low drop-rates hinder the speed at which Unitas Fragments can be otherwise be farmed from these quests. "Twisted Trust" is effectively a daily quest with the consumption of Burn it Down for the quest. In addition, Escherion's Robe has an estimated drop rate of approximately 1% from Escherion. The main purpose of this quest is to farm for Vampire of Vokun and Viridian Vampire Helm, which have an estimated drop rate of approximately 5%. Other than pure interest in PvP (player versus player), this miscellaneous item is the sole reason PvP isn't completely dead (although hopefully, or hopefully not, the players in it may be). With a stack limit of 500, Combat Trophies are highly divisive, as farming for them can either viewed as a welcome change to typical gameplay, or a massive nuisance to standard farming procedures. Besides being used in the Alpha Omega Merge and the PvP Trophy Shop, Combat Trophies are also used in 3 quests, noticeably Dage the Evil's quest Player vs Power as part of the Undead Legion initiation. Public Farming : Participating in public 8v8 matches at /bludrutbrawl is one of the 2 recommended methods to farm for Combat Trophies, and the more entertaining method. In this team-based match, a team loss results in receiving 1 Combat Trophy, while a team win results in receiving 3-5 Combat Trophies, depending on the number of non-Captain map enemies defeated collectively as a team. This table lists all possible Brawler and Restorer combinations with the number of Combat Trophies awarded. Refer to the =AQW= PvP Discussion Thread in the AQWorlds General Discussion forum for PvP-orientated class recommendations and strategy discussion. Private Farming : Using private instances of /bludrutbrawl to focus on the map enemies is another method for farming Combat Trophies. It is certainly faster than public farming, but also much less interesting. Lower-leveled players may opt to defeat the 4 restorers and 3 brawlers, and then wait for the points to accumulate to 1000 for a 5 Combat Trophy award. However, this process does take a minimum of 3 minutes (depending on the speed at which the monsters can be defeated), which is why this method is generally recommended for higher-leveled players. For these players, the quicker method is to ignore the restorers, and simply defeat the 3 brawlers and then the captain for a 4 Combat Trophy reward. Points : The first team to acquire over 1000 points is declared the winner. In the rare event that both teams manage to achieve over 1000 points at the same time, then the team with the larger amount of points wins. In the even rarer event that both teams manage to achieve over 1000 points at the same time, and also achieve the same number of points, then team B is declared the winner. Killing a player on the opposing team will award the team 10 points. Having a player kill themselves with a skill will award their team 10 points. Being killed by a map enemy will not award either team points. Killing the brawlers and restorers will add points to the point incrementer, which automatically increases a team's point total every 10 seconds from the moment the map is loaded in. This table lists all possible Brawler and Restorer combinations with the number of points awarded by the incrementer. Killing the opposing team's captain will instantly give 1000 points and reset the point incrementer amount to 0. The only other place to obtain Combat Trophies is /chaosbrawl. For public farming, it is very unlikely to find any other players there, effectively reducing this to a private farming option. For private farming, the monsters have much more HP than its /bludrutbrawl counterparts, a discrepancy that is not justified by the monsters' chaoskind racial tag. As the name might suggest, this is simply a Legion variant of traditional brawl in /dagepvp. The biggest difference is that this map contains tougher map enemies. The restorers are replaced by Blade Masters with 12K HP instead of 5K, brawlers are replaced by Legion Guards with 25K HP instead of 15K, and the captain is replaced by Dage with 80K HP instead of 35K. The other notable difference is that there are now 6 "Brawlers" on each team instead of 3. Furthermore, the layout is slightly different, with the spawn and captain rooms interchanged when compared to the traditional /bludrutbrawl. All the notes in the preceding "Combat Trophy" section apply. However, here, a team loss results in receiving 1 Legion Combat Trophy, while a team win results in receiving 5 Legion Combat Trophies. Furthermore, this table lists all possible Brawler and Restorer combinations with the number of points awarded by the incrementer. Without a doubt, this item is currently the hardest item that one can farm for in-game. This weapon is closely associated with the iconic Sepulchure and his Undead Blade (although it is visually closer with the Necrotic Blade of Doom connected to DragonFable's Sepulchure). With such a reputation to uphold, it is no wonder that this weapon is as difficult to acquire as it is. The process of getting the weapon in-game is broken down into "manageable" steps, and so can be confusing to quickly envision. As such, the total amount of all items needed has been tallied here for comprehension purposes. Players above level 21 can talk to Braeus on screen 1 in /shadowfall to begin this farming nightmare. Bone Dust is best farmed from the mob enemies in /battleunderb, for which 5,100 are required. Cavern Celestite is best farmed from the non-jellyfish mob enemies in /battleunderc, for which 1,600 are required. This is best farmed at screens 2 and 4, which have 2 crystallized undead monsters. Undead Energy can be farmed alongside Bone Dust and Cavern Celestite, for which 10,000 are required. Barium has a 1 in 7 chance of dropping from Artix's daily quest Mine Crafting in /necropolis, for which 4 are required. Axe of the Prospector and [Raw Ore] is best farmed simultaneously from the Balboa in /stalagbite. This requires completion of the Dwarfhold storyline (at least up to the point of defeating the Chaos Beast Rock Roc). Despite the reward system being "receive one of the following", each of the metals have a 500 stack limit, so decline irrelevant metals, or store them in the bank for future usage. Chaorrupted Hourglass has an estimated drop rate of approximately 20% from Chaos Lord Iadoa in /timespace, for which 31 are required. This requires completion of the ChronoSpan storyline (at least up to Warlic (Golem)'s quest Starry, Starry Night). When fighting Iadoa, make sure to have the Dragonoid of Hours, which itself has an estimated drop rate of approximately 12.5% from Dragonoid in /mqlesson. Having at least one player with this item, whether equipped or in the inventory (but not bank), prevents Iadoa from using his attack "Astral Shift", which drastically reduces skill cooldown speed, mere seconds into the fight. Chaotic Hourglass also fulfills this role, but it is now rare. (Necro) Scroll of Dark Arts has an estimated drop rate of approximately 1% from Ultra Vordred in /epicvordred, for which 4 are required. Blade Essence has an estimated drop rate of approximately 1% from Chaorrupted Armor in /chaoscrypt, for which 2 are required. Click on the Sepulchure's lifeless armor on screen 5 to bring it back to life as a medium of Chaos. Primarch's Hilt has an estimated drop rate of approximately 70% from Colossal Primarch in /bosschallenge or the member-only /gravechallenge, for which 2 are required, despite the stack limit of 3. This is one of the hardest bosses in-game due to its massive damage output, which can 1-hit K.O. most players, so be prepared. Doom Heart has an estimated drop rate of approximately 0.5% from Ultra Sepulchure in /sepulchurebattle, for which 1 is required. However, even the aggregate sum of farming for all of the aforementioned items pales in comparison to the 7500 Void Aura (abbreviated VA) requirement when farming NSoD. Non-members : The only option to obtain Void Auras is through Braeus's quest Retrieve Void Auras. To complete this quest, 10 inventory spaces are required at the absolute minimum, but 11 is recommended. All of the 10 different monster essences required for this quest have a drop rate of 100%, and stack up to 100, allowing players to turn in this quest 5 times at a time. Braeus can teleport players directly to 8 of the 10 monsters required for this quest, bypassing quest and item requirements. The only exceptions to this rule are Dai Tengu in /hachiko and Void Dragon in /dragonchallenge. For Dai Tengu, players must complete Ai No Miko's quests (at least up to Zodiac Puzzle Key). For Void Dragon, players must complete Galanoth's quests (at least up to Slay Arradia). Upon then, players still cannot teleport to the Void Dragon via Braeus, but must join /dragonchallenge and talk to Galanoth to fight the Void Dragon. Despite the quest reward system being labelled as "receive, at random", it functions as "receive one of the following" on the live servers. However, on the testing servers, the 2 VA reward is guaranteed, while there is an estimated 20% of getting an additional 5 VA, an estimated 20% of getting an additional 10 VA, and an estimated 20% of getting both the 5 and 10 VA reward for an additional 15 VA.
Members : Despite the existence of Braeus's quest Gathering Shadow Essences, it is much faster to farm for Sepulchure's DoomKnight Armor and then farm Braeus' quest Commanding Shadow Essences. While farming "Commanding Shadow Essences" does not require an active membership, farming for SDKA does. Empowered Essence has an estimated drop rate of approximately 80% from the mob enemies in /shadowrealm, which is only accessible to players above level 45. Malignant Essence can be farmed from Sepulchure in /falconreach at a drop rate of 100%. This requires completion of Falconreach Tower's quests (at least up to Defeat Dragon Drakath). After this, players can talk to Lady Celestia on the first screen to quickly access Sepulchure without having to traverse the map. Malignant Essence can also be farmed from Shadow Lord at a drop rate of 100%. Members can find this monster in /shadowlord. Non-members can find this monster in /shadowrealm by walking through the portal on screen 1. This requires completion of Twilly's quest Key to the ShadowLord. This is slightly more convenient, but slightly slower due to Sepulchure's undeadkind racial tag and thus, effective health. 11/07/17 - New guide created. Thanks to PD, Laos, Zyrain, Sato, and GojetaDragon08 for the previous versions of this guide. 15/07/17 - Thanks to Loftyz for suggesting a Potions and Scrolls portion. 15/07/17 - Thanks to Loftyz for suggesting the Nulgath map for members. 16/07/17 - Thanks to TheErosionSeeker for suggesting the Leery Contract. 24/07/17 - Thanks to Laos and the AQW Guides ArchKnights for general feedback (1). 30/07/17 - Thanks to Metakirby for suggesting a Swag Tokens and Unitas Fragment portion. 30/07/17 - Thanks to TheErosionSeeker for suggesting a Combat Trophy portion. 05/08/17 - Thanks to Solanaceae for correcting boost information. 18/08/17 - Thanks to Shadowhunt, Solanaceae, and Laos for general feedback (2). 23/10/17 - Thanks for ShatteredReality for reminder on Bloodmoon. There are level 99 monsters in the /bloodmoon map, which makes it ideal for farming. You can add that into your guide, but note that it's nonmember but seasonal. And while I address this, might as well note something else. A lot of peeps have also talked about Ultra Tibi for mem-EXP, but it takes a non-trivial amount of coordination and planning to pull off. You just want like 3 Lightcasters and some DPS classes and you can just ignore his special attack. Much less coordination than say, Ultra Alteon. Ultra Tibi is, to me, an annoying farming method because you have to accept the quest, go kill him, then go back and turn in the quest. Unless you're farming in a private room with other people you got from, say, a Let's Party! post, you might not get back into the same room you were in. I think it's still a fairly viable form of Exp farming, so you probably should consider adding it, but it's definitely more of a hassle than, say, BattlegroundE. Speaking of Battlegrounds, you might want to consider noting that BattlegroundF really isn't worth doing in terms of Exp farming. The small increase in Exp over BGE isn't worth the fact that the monsters are ~3-4x stronger.